A fine example of a strong IPA with mid-level hoppy nose and a sweet finish! At 60 IBUs I was looking for the initial bite that ended up sweet. By the time I got to the second taste I had become accustomed to the lack of modern day bitter that I have come to take for granted. 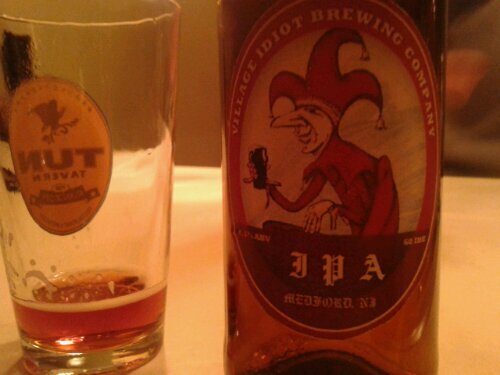 A good flavor that pays homage to a more traditional IPA, I look forward to more brews from Village Idiot, right here in Southern NJ, good job to the brewers Vince and Rich, thank you. 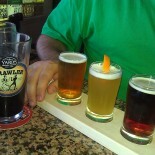 Thanks again to Village Idiot Brewing Company. I hope to be able to continue to taste the evolving candidates, I’m sure that each one will be individually delicious. This entry was posted on February 8, 2013 by ospreybrews in Uncategorized.